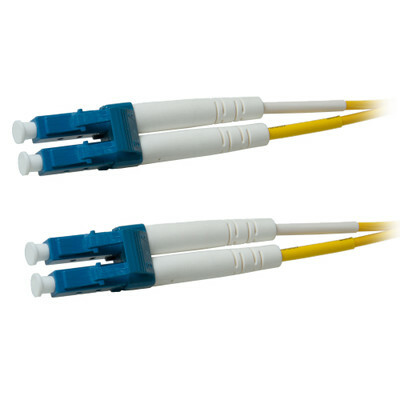 This 10 meter (~33 feet) plenum fiber optic cable is terminated with LC (Lucent Connector) connectors on both ends. It is a singlemode fiber (9 micron core) designed to transmit data across long distances at high speeds. The cord is duplex (two fibers) which means it permits synchronous communication between devices. The cladding diameter is 125 microns. Plenum rated for installation in plenum areas of commercial buildings.